1See Dealer for Details 2Not available with special financing, lease and some other offers. See participating dealer for details. 3Not available with special finance or lease offers. Take delivery by 04-30-2019. 4Must finance through GM Financial. Some customers may not qualify. Not available with some other offers. See participating dealer for details. 5Not available with lease and some other offers. See dealer for details. 6National Trade Assistance Vehicle must be 15' or newer with less than 50,000 miles. No salvage or branded titles. 7THIS ALLOWANCE MUST BE USED AS DOWN PAYMENT ON AN UNSUPPORTED APR FINANCE CONTRACT THROUGH GM FINANCIAL. SUPPORTED AND UNSUPPORTED LEASES AND SUPPORTED APR CONTRACTS ARE NOT ELIGIBLE FOR THIS PROGRAM. 8Vehicle pricing includes all offers and incentives from the manufacturer and the dealer. Tax, title, license, destination, and fees are not included in vehicle prices shown and must be paid by the purchaser. All pricing requires financing with GM Financial at standard rates. Some factory rebates and incentives may need to be qualified for. While great effort is made to ensure the accuracy of the information on this site, errors do occur so please verify information with a customer service rep. This is easily done by calling us or by visiting us at the dealership. Some vehicles may include dealer installed aftermarket items not accounted for in the displayed online pricing. Please see dealer for exact pricing information. 0% offers may not be combined with most rebates or discounts. Some factory rebates may expire on or before 4/30/19. Contact dealer for details. MPG estimates on this website are EPA estimates; your actual mileage may vary. For used vehicles, MPG estimates are EPA estimates for the vehicle when it was new. The EPA periodically modifies its MPG calculation methodology; all MPG estimates are based on the methodology in effect when the vehicles were new (please see the "Fuel Economy" portion of the EPA's website for details, including a MPG recalculation tool). The features and options listed are for the new 2019 GMC Acadia and may not apply to this specific vehicle. Tax, title, license (unless itemized above) are extra. Not available with special finance, lease and some other offers. 9See Dealer for Details 10Monthly payment is $13.89 for every $1,000 you finance. Average example down payment is 4.5%. Some customers may not qualify. Not available with leases and some other offers. Take retail delivery by 4/30/19. See dealer for details. 1Not available with special finance, lease or some other offers. Take delivery by 04-30-2019. See dealer for details. 2Not available with lease and some other offers. See dealer for details. 3Not available with special finance or lease offers. Take delivery by 04-30-2019. 4Not available with special financing, lease and some other offers. See participating dealer for details. 5Must finance through GM Financial. Some customers may not qualify. Not available with some other offers. See participating dealer for details. 6National Trade Assistance Vehicle must be 15' or newer with less than 50,000 miles. No salvage or branded titles. 7THIS ALLOWANCE MUST BE USED AS DOWN PAYMENT ON AN UNSUPPORTED APR FINANCE CONTRACT THROUGH GM FINANCIAL. SUPPORTED AND UNSUPPORTED LEASES AND SUPPORTED APR CONTRACTS ARE NOT ELIGIBLE FOR THIS PROGRAM. 8Vehicle pricing includes all offers and incentives from the manufacturer and the dealer. Tax, title, license, destination, and fees are not included in vehicle prices shown and must be paid by the purchaser. All pricing requires financing with GM Financial at standard rates. Some factory rebates and incentives may need to be qualified for. While great effort is made to ensure the accuracy of the information on this site, errors do occur so please verify information with a customer service rep. This is easily done by calling us or by visiting us at the dealership. Some vehicles may include dealer installed aftermarket items not accounted for in the displayed online pricing. Please see dealer for exact pricing information. 0% offers may not be combined with most rebates or discounts. Some factory rebates may expire on or before 4/30/19. Contact dealer for details. MPG estimates on this website are EPA estimates; your actual mileage may vary. For used vehicles, MPG estimates are EPA estimates for the vehicle when it was new. The EPA periodically modifies its MPG calculation methodology; all MPG estimates are based on the methodology in effect when the vehicles were new (please see the "Fuel Economy" portion of the EPA's website for details, including a MPG recalculation tool). The features and options listed are for the new 2019 GMC Acadia and may not apply to this specific vehicle. Tax, title, license (unless itemized above) are extra. Not available with special finance, lease and some other offers. 9See Dealer for Details 10Monthly payment is $13.89 for every $1,000 you finance. Average example down payment is 4.5%. Some customers may not qualify. Not available with leases and some other offers. Take retail delivery by 4/30/19. See dealer for details. 1Not available with special finance, lease or some other offers. Take delivery by 04-30-2019. See dealer for details. 2Not available with lease and some other offers. See dealer for details. 3Not available with special finance or lease offers. Take delivery by 04-30-2019. 4Must finance through GM Financial. Some customers may not qualify. Not available with some other offers. See participating dealer for details. 5National Trade Assistance Vehicle must be 15' or newer with less than 50,000 miles. No salvage or branded titles. 6THIS ALLOWANCE MUST BE USED AS DOWN PAYMENT ON AN UNSUPPORTED APR FINANCE CONTRACT THROUGH GM FINANCIAL. SUPPORTED AND UNSUPPORTED LEASES AND SUPPORTED APR CONTRACTS ARE NOT ELIGIBLE FOR THIS PROGRAM. 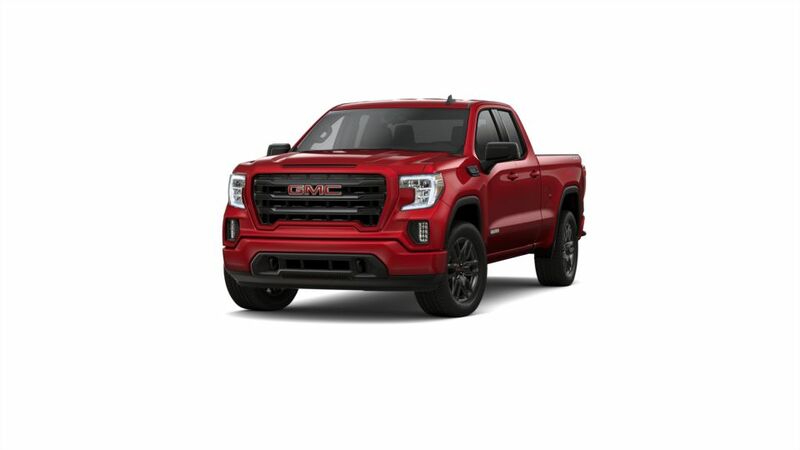 7Vehicle pricing includes all offers and incentives from the manufacturer and the dealer. Tax, title, license, destination, and fees are not included in vehicle prices shown and must be paid by the purchaser. All pricing requires financing with GM Financial at standard rates. Some factory rebates and incentives may need to be qualified for. While great effort is made to ensure the accuracy of the information on this site, errors do occur so please verify information with a customer service rep. This is easily done by calling us or by visiting us at the dealership. Some vehicles may include dealer installed aftermarket items not accounted for in the displayed online pricing. Please see dealer for exact pricing information. 0% offers may not be combined with most rebates or discounts. Some factory rebates may expire on or before 4/30/19. Contact dealer for details. MPG estimates on this website are EPA estimates; your actual mileage may vary. For used vehicles, MPG estimates are EPA estimates for the vehicle when it was new. The EPA periodically modifies its MPG calculation methodology; all MPG estimates are based on the methodology in effect when the vehicles were new (please see the "Fuel Economy" portion of the EPA's website for details, including a MPG recalculation tool). The features and options listed are for the new 2019 GMC Acadia and may not apply to this specific vehicle. Tax, title, license (unless itemized above) are extra. Not available with special finance, lease and some other offers. 8See Dealer for Details 9Monthly payment is $13.89 for every $1,000 you finance. Average example down payment is 4.5%. Some customers may not qualify. Not available with leases and some other offers. Take retail delivery by 4/30/19. See dealer for details.